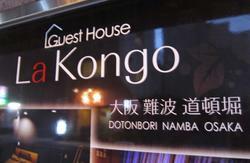 The guesthouse nearest to Kansai Airport ! Warm welcome to people on a business trip, backpacker, riders, cyclers da! Access to Namba, Kansai Airport is good! A 6-minute walk from south seas Main Line Sakai Station! Sakai is considered a part of Greater Osaka metropolitan area. Good access to the Osaka city center, Universal studio Japan, Sakai Fishi Market, and Japan's pride Kyoto and Nara. Good entertainment park for families and couples. 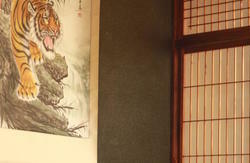 The Sakai guest house is small inn located in Sakai-shi, Osaka. Please relax peacefully. The Sakai guest house almost becomes the living room of the sharing a room-style according to the man and woman called 'the dormitory'. Unlike a hotel and a hotel, it is the hotel of self-service, the room without meals. At the closing time, I am not advantageous. There is one common use PC. The wireless LAN is available, too. we proceed the check-in for you and give you a password so that you can come back home anytime, 24 hours. *There is NO elevator in our hostel. Rooms are located on the 1st, 3rd floor. *All rooms are non-smoking. Smoking is permitted on the first-floor outside. ?Please make full payment in Japanese Yen at reception when you check in. ?Credit card cannot be used. We require 1days notice prior to the accommodation date if you would like to cancel or alter your booking. 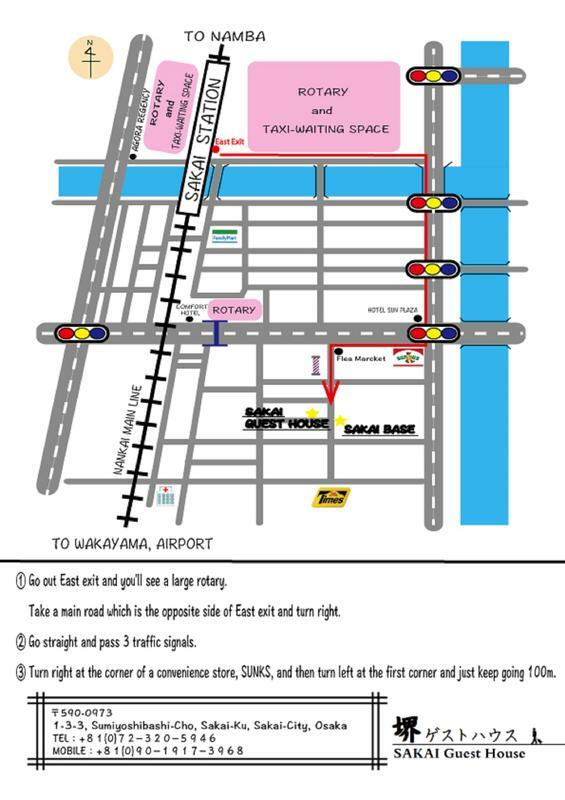 ?Here are the Directions to hostel from Sakai station: take south exit, turn left you will see a family mart, turn right & walk up road 2 Comfort inn hotel circle with buses & taxis. Take stairs up and over Phoenix-dori, take stairs down on your left. Take 2nd street on right, walk up 3 streets on right & turn down. Second door on right. From Osaka , take Nankai Honsen. GEt off at Sakai St.
in this area. We are one min from this hotel. 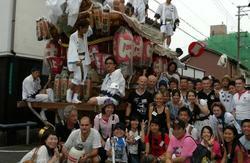 All together 6 min from Sakai ST.